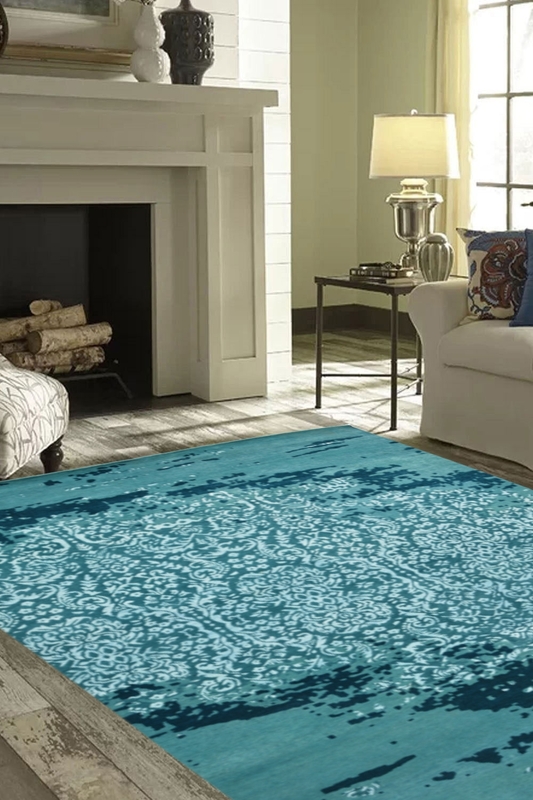 Decorate your room with this gorgeous handknotted wool area rug which is made in a modern pattern. It is woven in pure New Zealand wool and cotton material on a handloom. This is 100% hand washable and highly durable carpet and rug. Sea Ground woolen area rug is specially woven for modern home interiors. It is made in pure New Zealand wool and cotton material. Sea Ground modern carpet contains " One of a kind" design pattern with the beautiful color combination. The primary colors are ivory and sea green which is well suited with light color furniture.